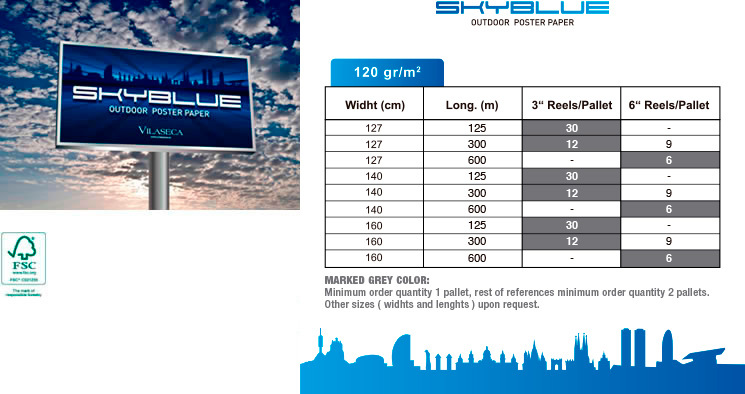 Opaque coated paper, with a blue back, to be used for outdoor advertising billboards. It is resistant to climate changes, humidity and environmental aggressions and can thus resist rain, sunlight extreme temperatures and pollution without any problems. It is resistant to cracking, ink flaking and tearing, has a good printability and is easy to apply.